Congratulations to both of our parishioners, Ana Dobrot and Ana Eveleigh will be moving on to the Metropolis Level Competition to be held at St Nicholas Greek Orthodox Church in Troy, MI on May 17-18th. A special thank you to our Judges; Professor Adriele Mitchel, Ph.D., Nazareth College, Rev.Mike Mullin, Youth Pastor, Asbury First United Methodist Church, and Lucas Photiou, Assumption Greek Orthodox Church, Flint, MI. LADIES, THE MEN OF OUR CHURCH WILL BE SERVING SO JUST RELAX AND ENJOY! Our GOYA had a great time connecting with friends from St Nicholas Camp! 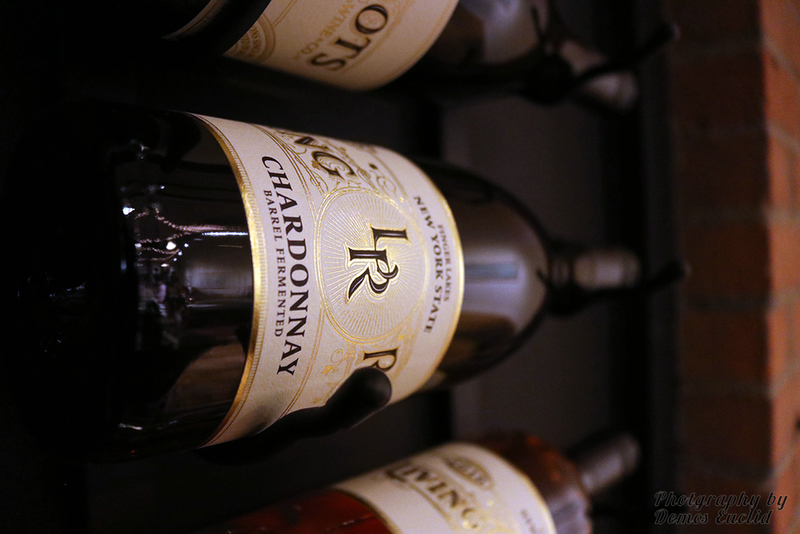 In the spirit of gender equality, last Wednesday we had Ladies Night out in the private Vault Room of the Living Root Winery on University Ave. We had quite a few of our young ladies, plus two of our new parishioners attending UofR; Alex Poloway and Callista Zaronias. 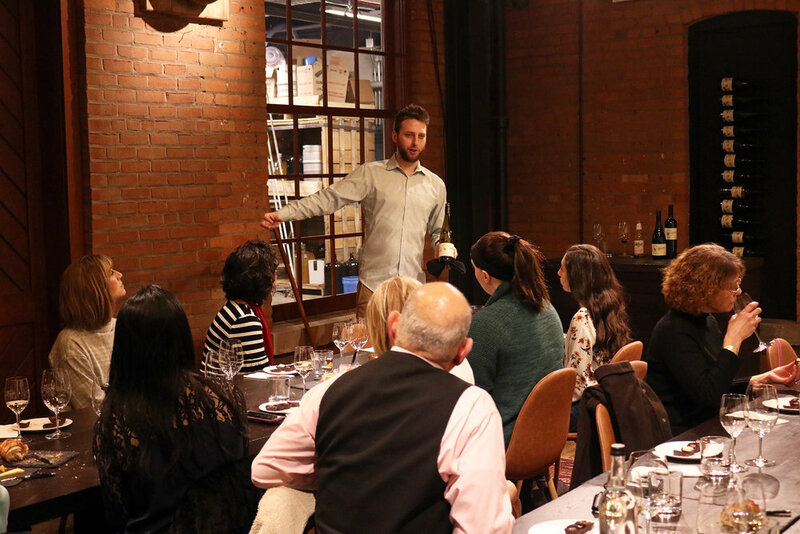 It was a great event with Nick as our wine sommelier introducing us to some great local and Australian wines which were excellently paired with luxury chocolates from the Original Candy Kitchen. Thanks Maria. More of these events to follows so stay tuned. 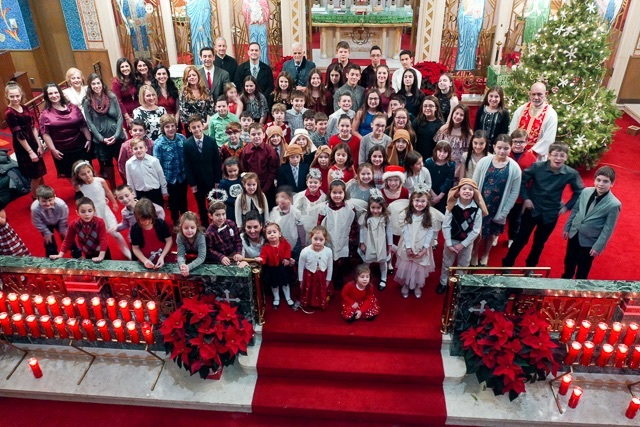 Drone photo of all of our participants in our 2018 Christmas Pageant and Greek School Caroling program held Sunday 25 Dec. Many thanks to our Religious education Committee (Kristin and Gabi) and Maria (Greek School Director) for all their hard work. Plus thank you to all the parents for supporting them to make this a memorable event. On Oct 19 our Annunciation church formally greeted Fr Angelo and Presvytera Teri with an evening get together at the Monroe Golf Club. This was a great opportunity for not only Fr and Presvytera to get to know people better but also for us to join together and have a bit of fun. On the eve of the Feast of Holy Cross our church hosted Dr McPherson and 45 of his World Religion class students.